Let’s take a slow walk together, open our senses and immerse ourselves in signs of spring. Forest Therapy is about getting quiet, and deepening connections to nature and to ourselves. We will ramble around the apple orchard and the ponds. Varied invitations will engage our exploration of the wonders around us and allow the forest to provide healing therapy. There will be time for quiet contemplation near the end of the walk. A forest tea ceremony with snacks will conclude our time in this beautiful setting. More information and details will be sent as soon as you register with Pam. Artists will be at their sculptures from 2-3:30pm to answer any questions you may have about their work! Music will be played all afternoon and refreshments will be served! Come join us for the 2019 Sculpture Walk! 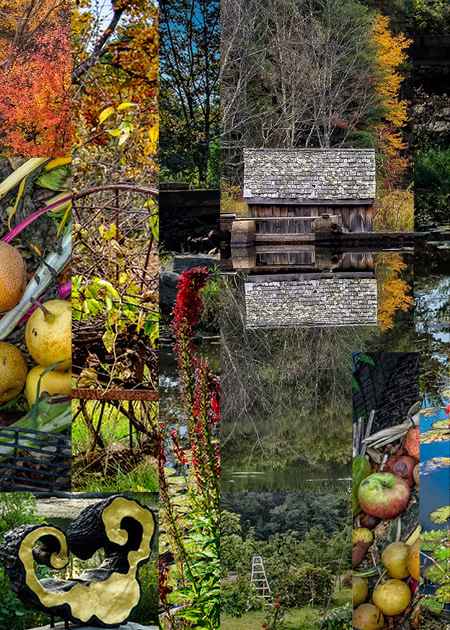 Take a self guided tour around the beautiful grounds of Old Frog Pond Farm and witness the wonderful fusion of art and nature. Walk with the 2019 Plein Air Poets to the sites that inspired their poems and listen to them read their words. This event is free and there will be a reception following the walk. A chapbook of the 2019 collection of poems will be available for purchase. The chapbook will be a beautiful full-color book with poems and corresponding sculptures displayed together designed by one of our artists, Lynn Horsky. Join us Sunday, February 10, at 3 p.m. for the first of our winter poetry readings at Old Frog Pond Farm & Studio. Come in from the cold and listen to poems of nature and community by three of the farm's plein air poets! Lynne Viti, rescheduled from our "snowed out" January reading, will be joining Terry House and Susan Edwards Richmond. Stay for refreshments and informal conversation. Terry House is an educator, arts reviewer, and poet. Her poems have appeared in The Berkshire Review; Birdsong: Poems in Celebration of Birds; Turning Again to the Well: Poems of the Energy Necklace Project;The Anthology of New England Writers; and the following Old Frog Pond Farm Plein Air Poetry chapbooks:Contours, Splash! ; An Extravagant Canopy, Memoir,and Paths Tracks Trails. She was a guest contributor at the 2018 Bread Loaf Writers' Conference. Terry lives in Acton, MA. 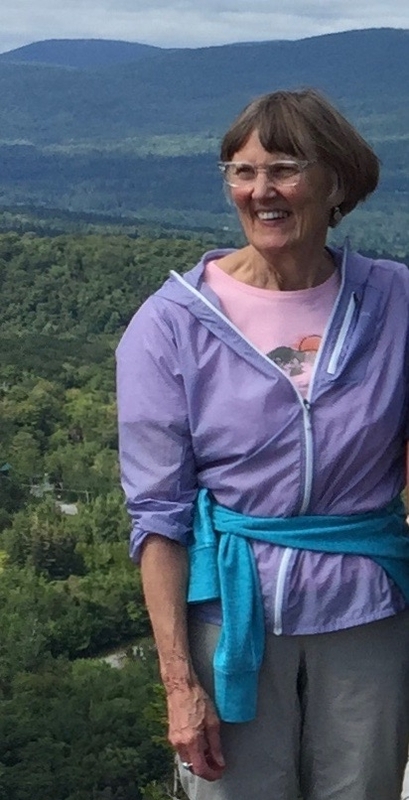 Susan Edwards Richmond organizes the annual Plein Air Poetry Walk, edits the Plein Air chapbook, and posts a Poem of the Month on the website at Old Frog Pond Farm & Studio. 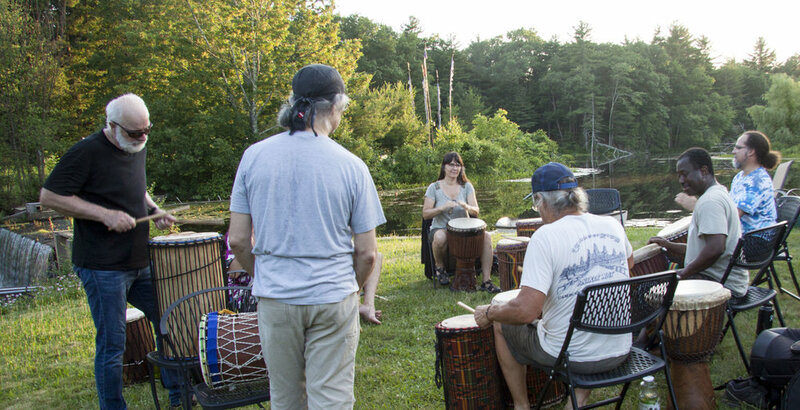 Susan writes about the relationship between humans and nature, and teaches at Mass Audubon's Drumlin Farm Community Preschool. Her most recent poetry collection is Before We Were Birds (2017), and her first children's picture book, Bird Count, will be published by Peachtree Publishing Company in October 2019. Lynne Viti is the author of two poetry chapbooks, Baltimore Girls (2017) and The Glamorganshire Bible (2018). Her poetry and fiction has appeared in more than one hundred online and print venues, most recently, Constellations, Muses Gallery, Highland Park Poetry, Gargoyle (forthcoming), and Bay to Ocean: The Year's Best from the Eastern Shore Writers Association. She has received Mass Center for the Book nominations for both of her chapbooks and has recently been nominated for a 2018 Pushcart Prize. A faculty emerita at Wellesley College, she blogs at stillinschool.wordpress.com. 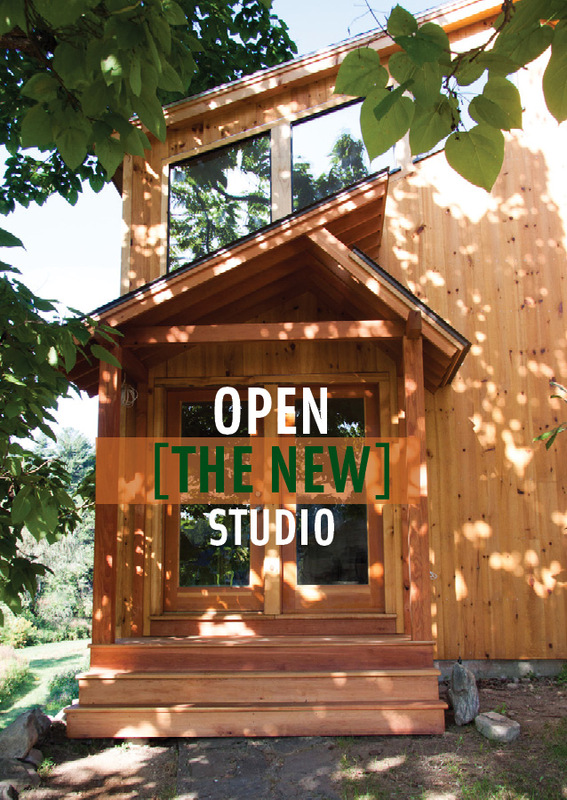 Old Frog Pond Farm & Studio is located at 38 Eldridge Road in Harvard. Please reserve at fruit@oldfrogpondfarm.com or leave a message at 978 456-9828 as seating is limited. There is a suggested donation of $5 to support the series. If we should need to cancel for weather please check at www.oldfrogpondfarm.com or at 978 456-9828. Listen to wonderful musicians playing together outdoors around the pond. Join Tom Horsky and Greg Carlson and their friends for this soulful afternoon of folk, country blues, dazzling original music, poetry, and storytelling. A free event with your Sculpture Exhibit ticket. Tom Horsky of Boxborough, a great fingerpicking-style guitarist! Reinvent Your Experience for You and Your Child with Dr Roxanne Daleo, Child Therapist and Certified Forest Guide. Relaxation of the mind, body and spirit is essential for everyone. Learn to connect with the natural world in a healing. calming, grounding and replenishing way through Shinrin-Yoku: Forest Breathing. Translation -Shinrin: forest Yoku: bathing mind and body; taking in green space with all of our senses. Join Dr. Roxie, renown health educator, with over 25 years experience specializing in relaxation and stress reduction, trained at the Harvard Medical School, the originator of and certified guide for Shinrin-Yoku sanctuary walks throughout Massachusetts Audubon Society. Her work empowers children, parents and caregivers with ways to cope and conquer everyday life stress, through the power of creative arts and nature. The walk will include deep listening and drawing — bring your crayons and paper! To reserve your place email Dr. Roxie. Payment will be collected at the beginning of the walk. You will receive more information 3-4 days before your walk. Dr Roxie inside the Botanical Garden installation by Patrick Dougherty. Walk with the 2018 Plein Air Poets to the sites that inspired their poems and listen to them read their words. The walk will take us around the pond, through the Medicine Wheel, to the Olympic Bell, and return through the Raspberry Patch on the way to the Orchard and Mediation Hut. The event is free and there will be a reception following the walk. A chapbook of the 2018 collection of poems will be available for purchase. Thank you to the Acton-Boxborough, Groton, and Littleton Cultural Councils for their continued support for the publication of the chapbook, all of these are local agencies, supported by the Massachusetts Cultural Council, a state agency. Come join us for the 2018 Sculpture Walk! POSTPONED: Flourishing into Happiness: Answering the Call of Your Soul! Happiness—what it is and how to achieve it--has been a subject of inquiry in most spiritual traditions for centuries. The Constitution protects the pursuit of happiness. But in this time of anger, divisiveness, and social inequality, is the pursuit of happiness selfish or is it helpful? How can we find greater happiness and remain fully engaged with the world? In this integrative workshop, we will explore the overlap between Aristotle’s concepts of the good life, modern scientific understanding of happiness and how to achieve it, and the vision of happiness put forward by Yogi Bhajan, who brought kundalini yoga to the west. We will use the techniques of kundalini yoga and meditation to create an experience of embodied well-being, as well as intuitive to guide us towards making positive changes in our lives that will contribute to our flourishing! And in the end, we will find that understanding what happiness is for each of us is one of the best ways we can serve this troubled world. Bring a journal, writing implement, yoga mat, sunscreen, and water. See you on the 23rd! The instructor, William Lenderking, PhD., (Sach Prem) is a Yoga Alliance certified kundalini yoga teacher, a poet and musician. The class will be accessible to all! Beginners welcome!! This workshop is for all levels and no prior yoga or meditation experience is necessary. The fee for the afternoon is $25. You can reserve online here. Join us for a casual appreciation of the apple trees and their blossoms. Bring a poem, a treat, a song to share, and we'll gather among the trees. Join us for an afternoon of grafting at Old Frog Pond Farm! Learn various grafting techniques including whip and tongue, bridge grafting, and top working. You will go home with your own grafted semi-dwarf apple tree. The fee is $30. The workshop will be taught by Linda Hoffman, Libby Levison, and Denis Wagner. Bring a small pocket knife if you have one. All other materials will be provided. In case of rain we'll graft indoors. Take a guided tour of Old Frog Pond Farm & Studio’s Outdoor Sculpture Walk, Around the Pond and Through the Woods with artist and orchardist, Linda Hoffman and artist, Margot Stage. The tour will conclude with a visit inside Hoffman's sculpture studio. Join Lila Terry for the annual harvesting of the Lightroot. Meet in the back of the orchard at the Lightroot Boxes if you'd like to help or just want to learn more about Lightroot. We invite you to join us during the fall harvest to walk around the farm, stopping at the various locations of inspiration to listen to the poems. Chapbooks of the poetry will be available for sale. Refreshments will follow the reading. Louise Berliner, Zachary Bos, Lucinda Bowen, Polly Brown, Heather Corbally Bryant, Helen Marie Casey, David Davis, Wendy Drexler, Linda Fialkoff, Lynn Horsky, Terry House, Joan Alice Wood Kimball, William Lenderking, Moira Linehan, Greg Lowenberg, Franny Osman, Dawn Paul, Cheryl B. Perreault, Mary Pinard, Joanne DeSimone Reynolds, Susan Edwards Richmond, Hilary Sallick, Georgia Sassen, Carla Schwartz, bg Thurston, Lynne Viti, Mary Zoll. In this class of kundalini yoga, we will work with the concepts of inspiration, revelation, and manifestation. Kundalini yoga is a yoga of energy and awareness, using asanas (postures), mudras (hand gestures), mantras (sound), drishti (eye focus), and body locks (bhands) in an integrated manner to allow the kundalini energy to rise from the lower centers in the body to the higher centers. Kundalini is often translated as ‘creative potential,’ and it is said that the kundalini energy lies coiled like a serpent at the base of the spine, but can be elevated through conscious practice. The instructor, William Lenderking, PhD., (Sach Prem Singh) is a Yoga Alliance certified kundalini yoga teacher, a poet and musician. The class will be accessible to all! Beginners welcome!! Price is $15 and can be purchased through our website or paid directly to the instructor. Old Frog Pond Farm is an inspirational place to explore creativity. We will gather in the Medicine Wheel. Bring mats, sunscreen, water, pen and paper. Bring a picnic, pick some raspberries, and stay for the Plein Air Poetry reading that starts at 2 PM. Join us for "An Afternoon with Walt Whitman." The performance features samplings of Whitman's poetry and selections from archival interviews with the poet. You will go away with a much better understanding of the man and the poet! Purchase your tickets $10 ahead from our online store to save a seat! Stephen Collins grew up in Cambridge, and received a BA in Literature from UMass Boston. After twenty plus years in a sales career, he is back doing what he truly loves - performing and teaching. Recently he has been teaching seminars on Whitman, Hardy, Shakespeare, Frost, and Contemporary Poetry at various locations throughout the country. I certainly plan to take the student's advice and invite you back to Lenox next year. I was simply blown away with your performance. A tour de force! Linda Hoffman will be on a panel of farmers from diverse spiritual traditions. More information soon. The 5th Annual 2016 Soil & Nutrition Conference will gather farmers, researchers, nutritionists and food system advocates for a multidisciplinary conversation exploring the potential to improve food quality through regenerative agriculture that builds soil, crop and ecosystem health. We will explore how soil health and crop quality are interrelated, and how a renewed focus on the food qualities that industrial agriculture forgot – flavor and nutrition – can help drive transformation with important societal benefits. Linda Hoffman will be presenting, A Natural Approach to the New England Apple Orchard, on Tuesday at 11:15. Prepare to be amazed by this delicate fruit that is actually an aggregate of up to 150 ovaries – and each one needs to be pollinated! Hoffman will discuss planting and growing your own patch of raspberries – varieties, diseases, and care including remineralizing the soil,foliar sprays, and the challenge of warding off the spotted-winged drosophila. For more information or registration click here. Old Frog Pond Farm and Studio's annual outdoor sculpture exhibit featuring artwork from sculptors throughout New England. This year's opening reception will be on Sunday, September 20, 2015 from 1 - 5 pm. Visitors can meet the artists and enjoy a self-guided tour around the pond and through the woods. Live music performed by The Morningside Studio Jazz Band led by Dan Fox. The Morningside Studio Jazz Band from the farmhouse porch! The Sculpture Walk will be open on weekends from 11 - 5 throughout our U-Pick Season. Suggested Donation is $5. Click here for a "virtual tour" of this year's sculptures.